Reviews of the Panasonic Lumix DMC-GH3 from around the web. 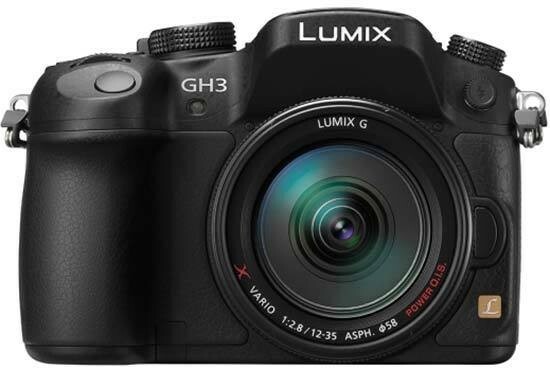 The Panasonic Lumix GH3 is Panasonic's flagship Micro Four Thirds camera, updating the Panasonic Lumix GH2, and with weather sealing and an SLR like styling, Panasonic are keen to emphasis this is a new DSLM (Digital - Single - Lens - Mirrorless) Camera, rather than just a "Mirrorless" camera. They will even sell you a £250 vertical battery grip with the camera that also includes weather sealing to match the body. The Panasonic Lumix DMC-GH3 is the current flagship Micro Four-Thirds Panasonic mirrorless. This digital camera is built around a 16 megapixels Four-Thirds sensor with an maximum ISO of 25600, 6 FPS full-resolution output and full 1080p HD video capability. The GH3 is built DSLR-style with a good hand-grip and a viewfinder hump covering a large high-resolution EVF.